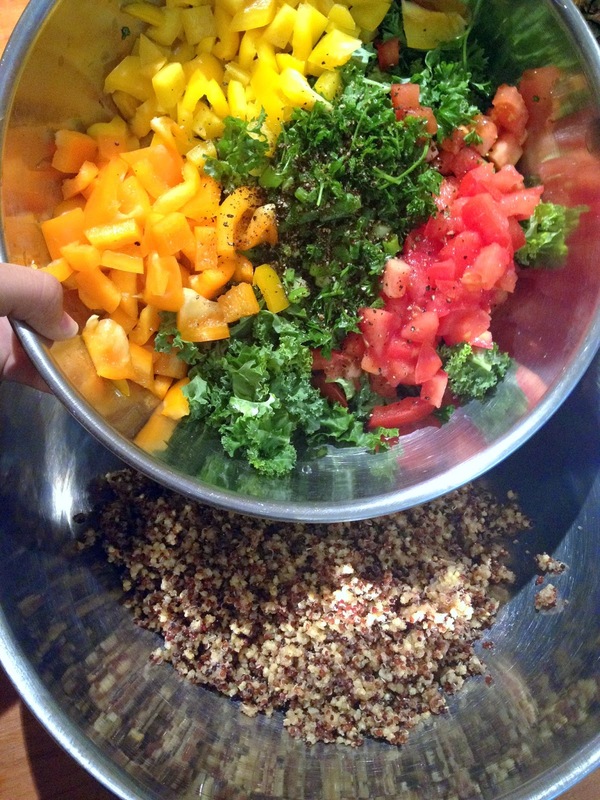 Place 4 cups of water and 2 cups of quinoa in a pot and bring to a boil. Then cover and reduce the heat to low and cook for about 15 minutes. 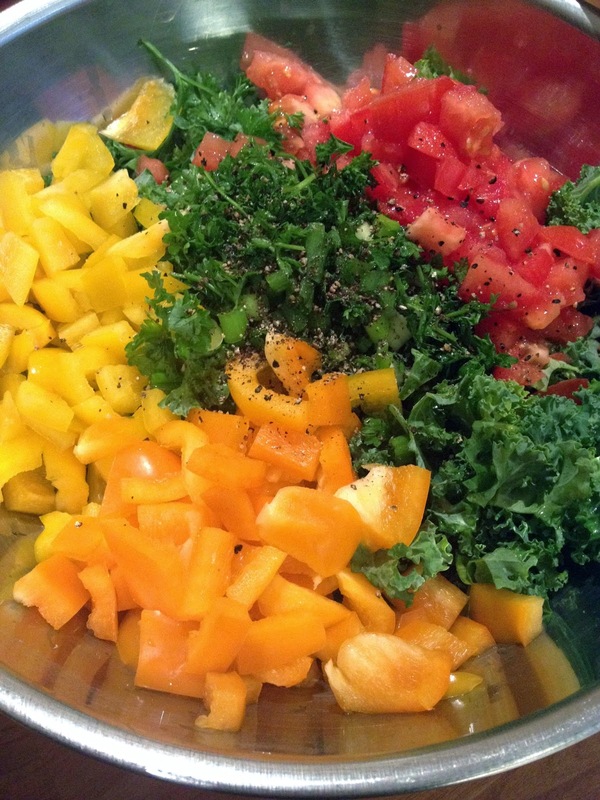 While it’s cooking, wash and chop all your vegetables and place in a bowl. 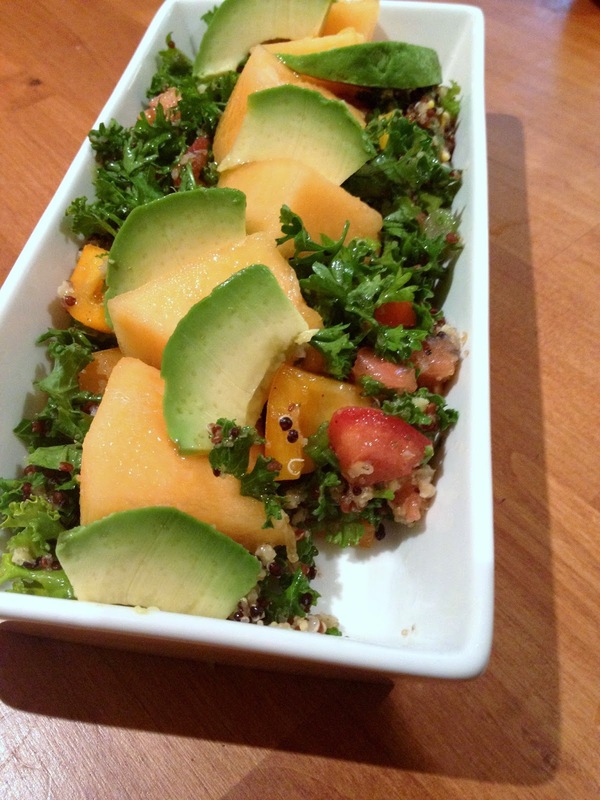 Place quinoa into a large bowl and flake it with a fork to avoid any clumps. Once it's cool, mix in vegetables and spices. 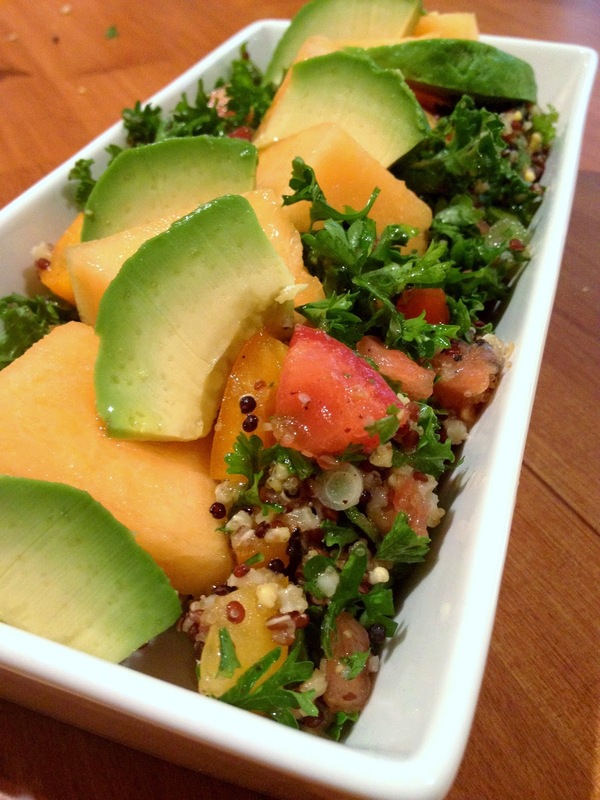 Place portions in serving dishes and garnish with slices of fresh cantaloupe and avocado. Serve and enjoy! I love this recipe because it's light and I never seem to get tired of it. If you need some protein, try adding 4oz of grilled chicken breast on top instead of the cantaloupe and avocado for a more complete meal, depending on your health goals. Have a great Saturday everyone! Hope you all had a productive first week back at school or work.